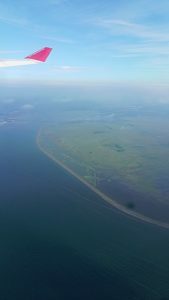 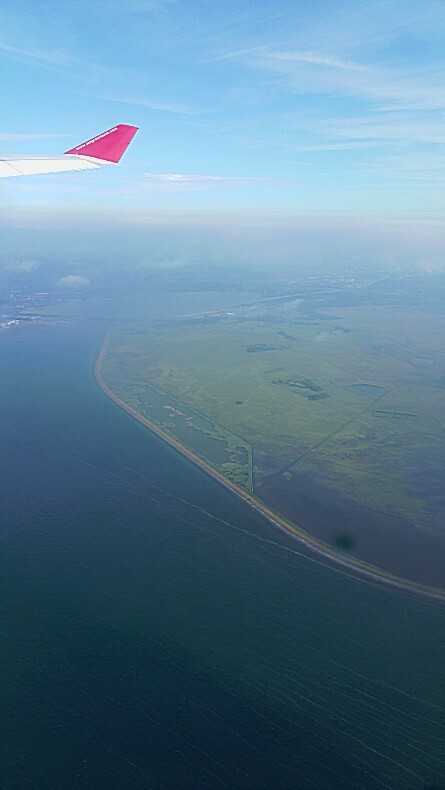 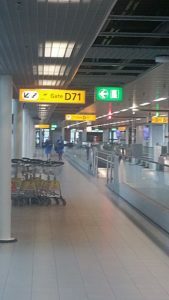 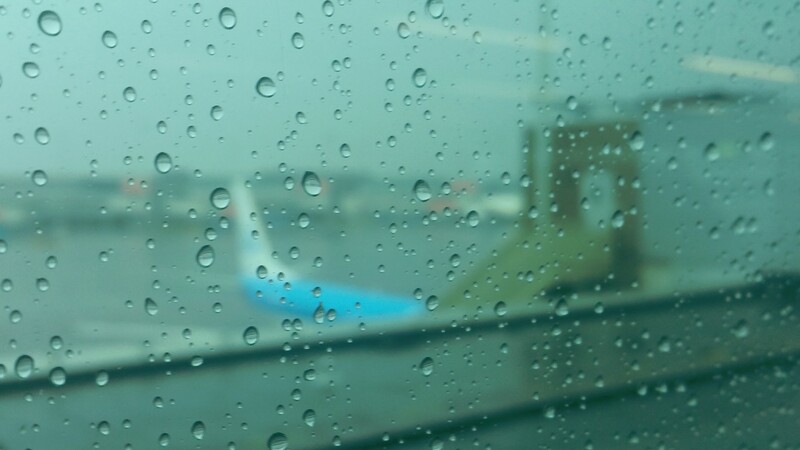 After arriving at Schiphol Airport, he needed to take care of a few last minute practicalities like changing Euros for Danish Crowns (DKK) at the Grenswissel Kantoor (GWK) (=Border Money Change Office). 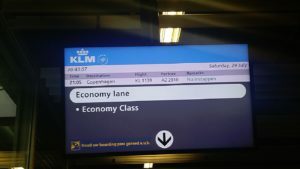 They offered their services without commission, (even returning DKK and changing them for euros, they offered at the same exchange rate and again wqithout asking any commission). 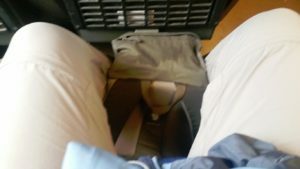 Then I needed to find a shop that sold locker locks, that I could use in the hostel. 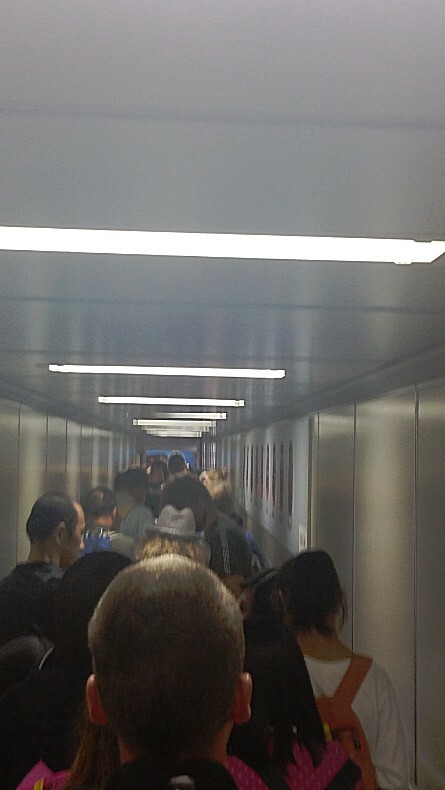 Third I needed to check in my luggage. 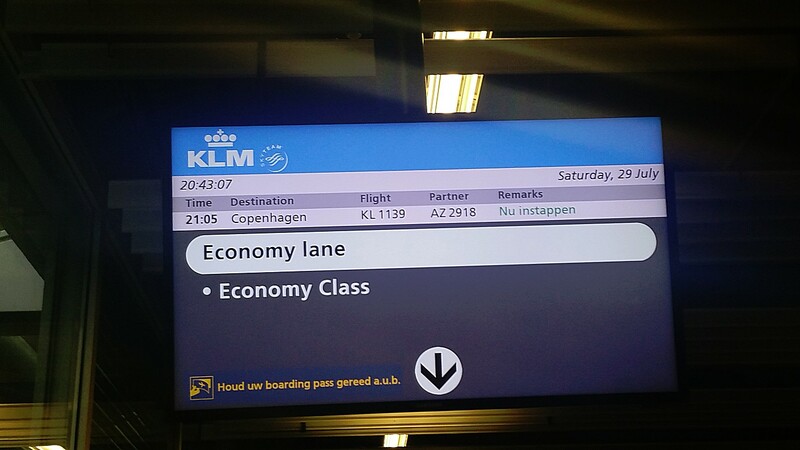 I had already checked in digitally at home. Now I could go through customs and this went fairly quickly, specially after all the horror stories I heard about rows of people waiting for hours and hours to get through customs. 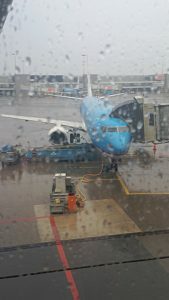 I still had plenty of time to spend before boarding and decided to go for a Brand Unfiltered Pilsner beer. 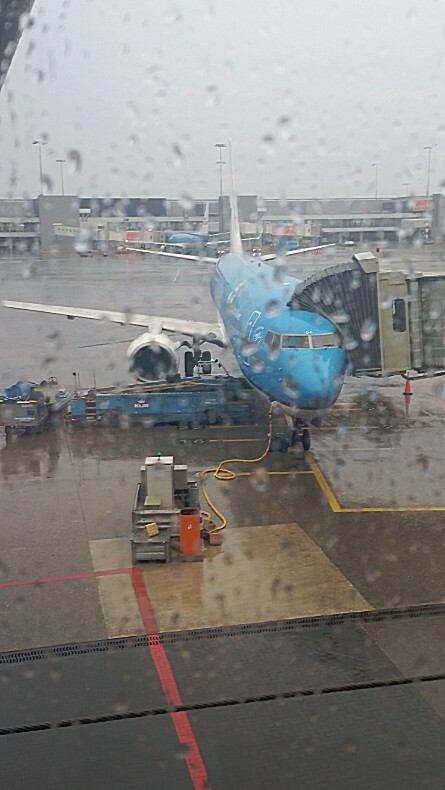 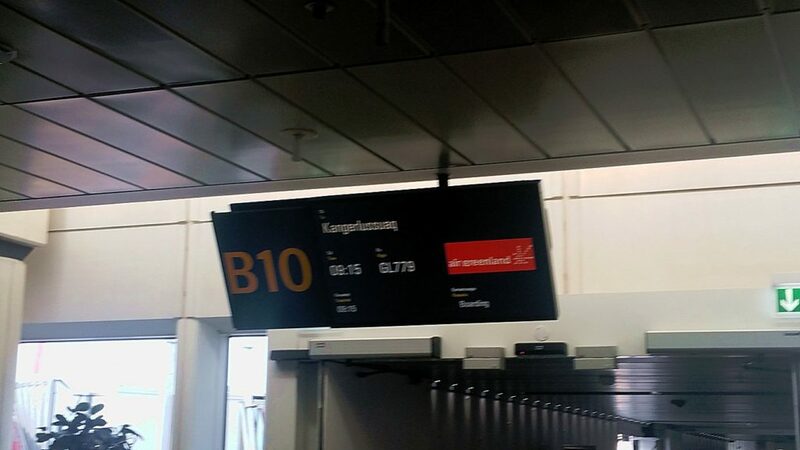 Then it was time for boarding at gate D71. The plane was scheduled for 21.05 hrs to leave. 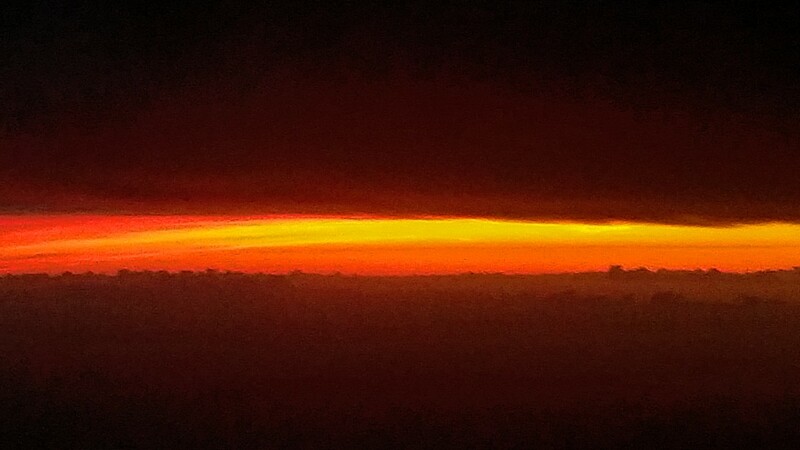 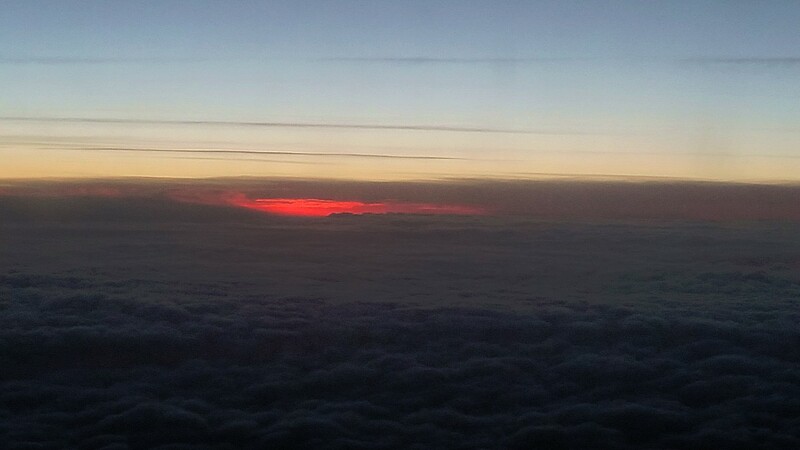 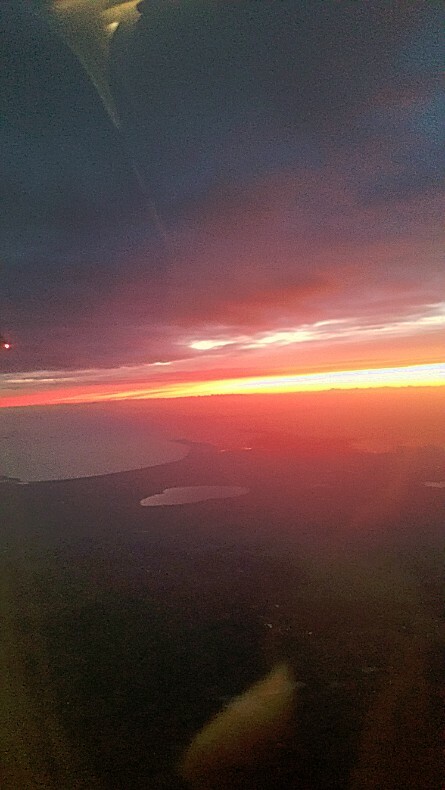 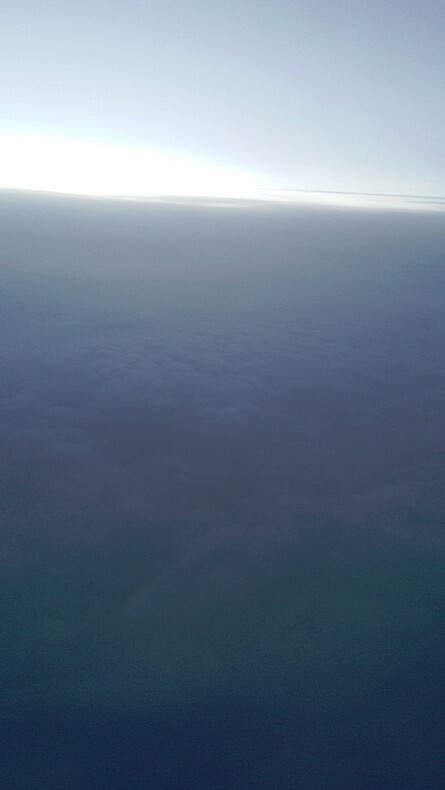 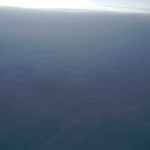 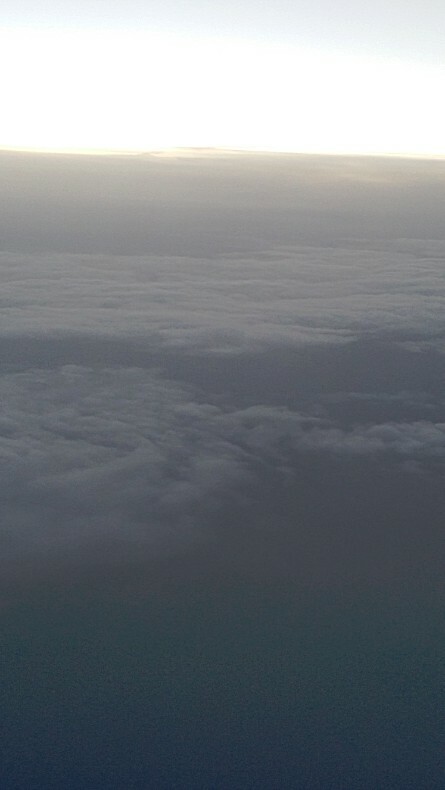 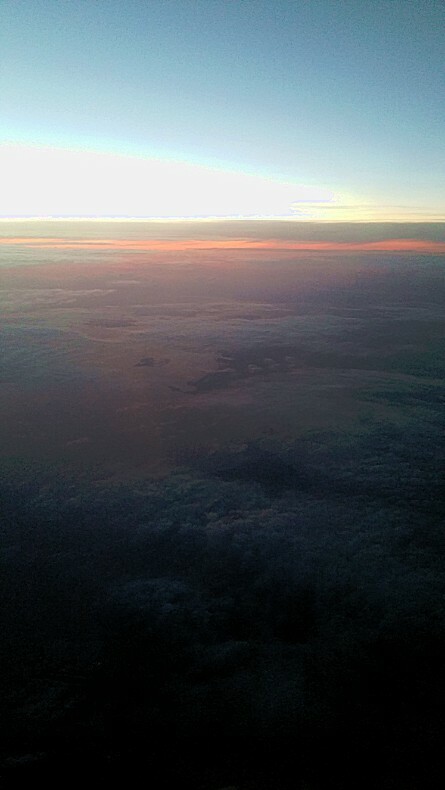 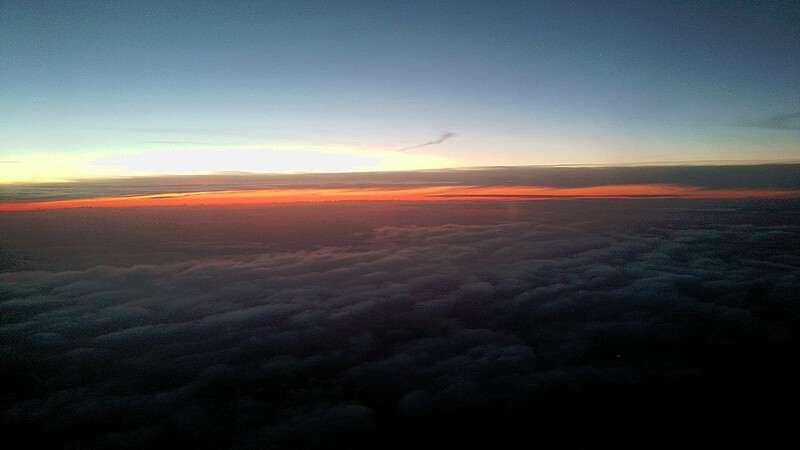 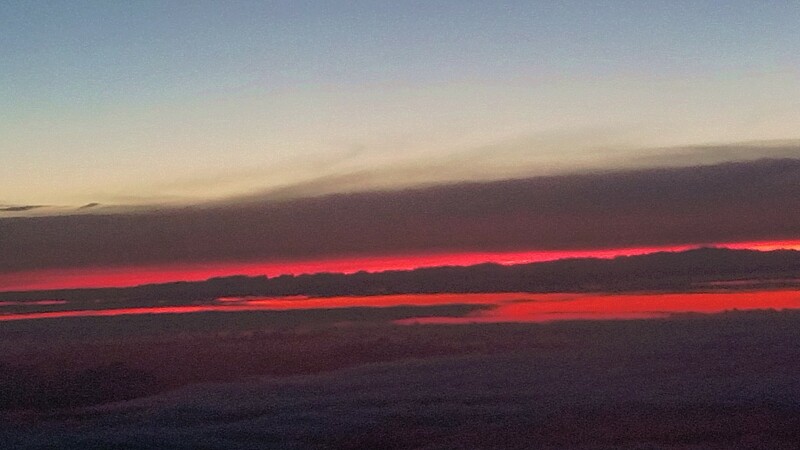 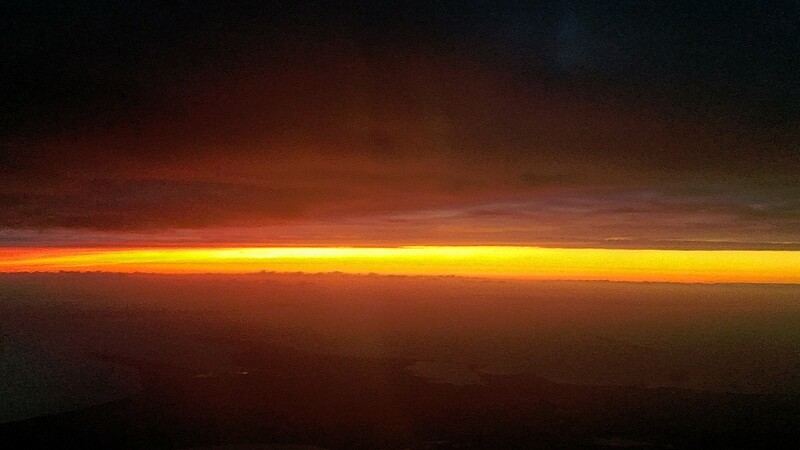 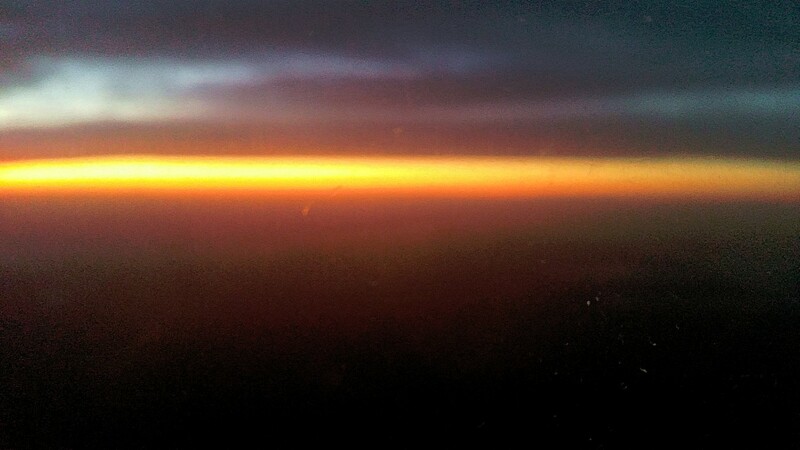 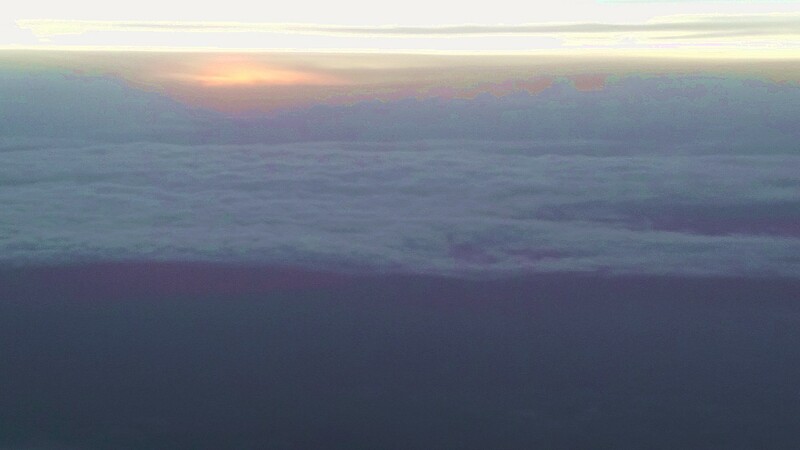 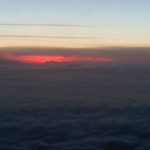 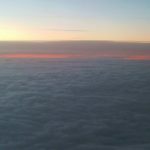 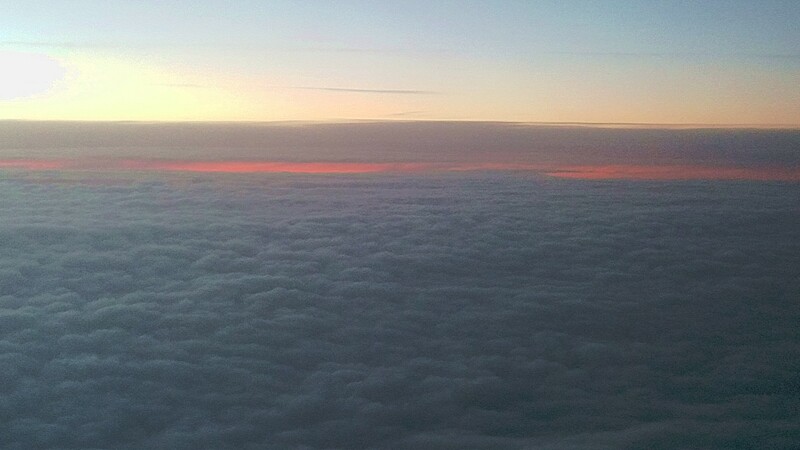 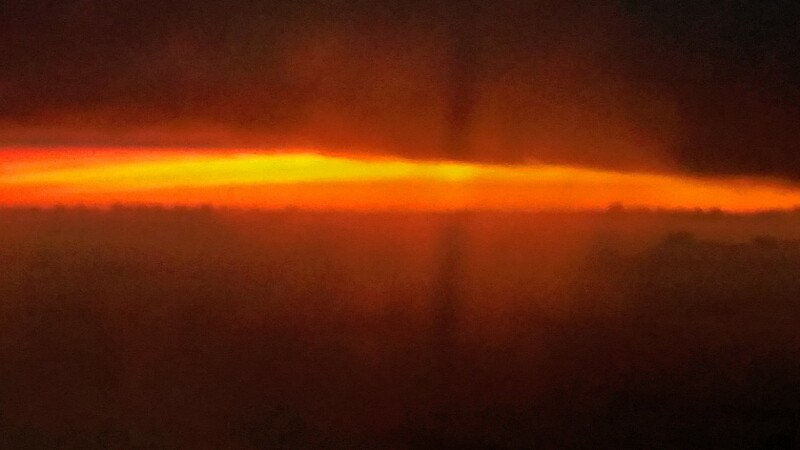 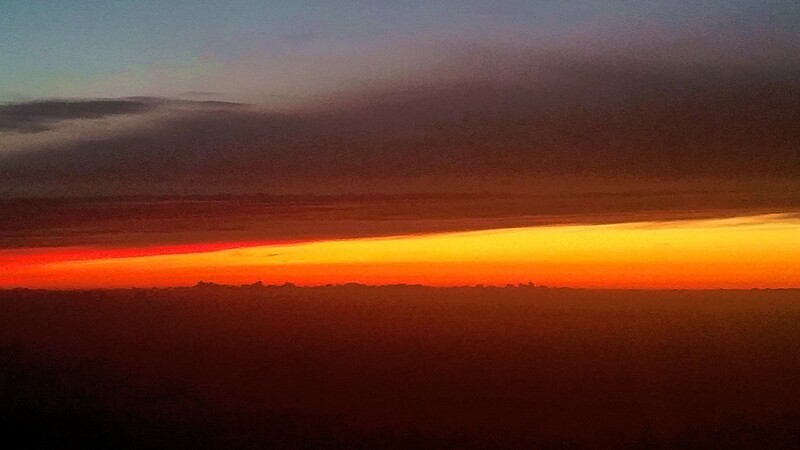 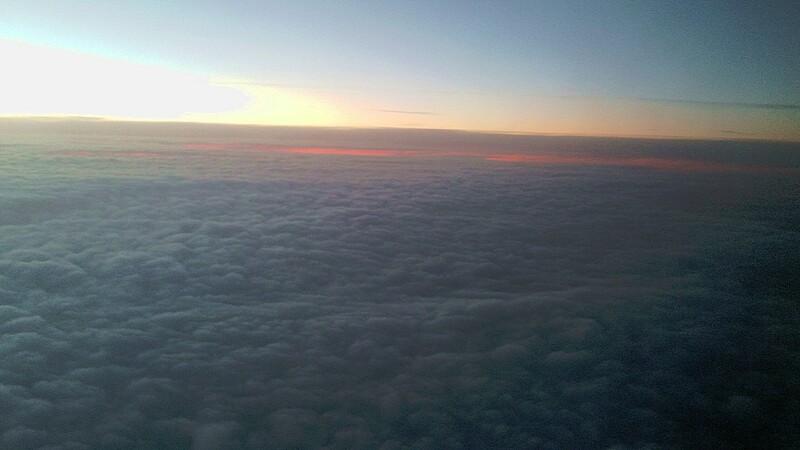 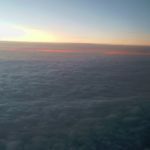 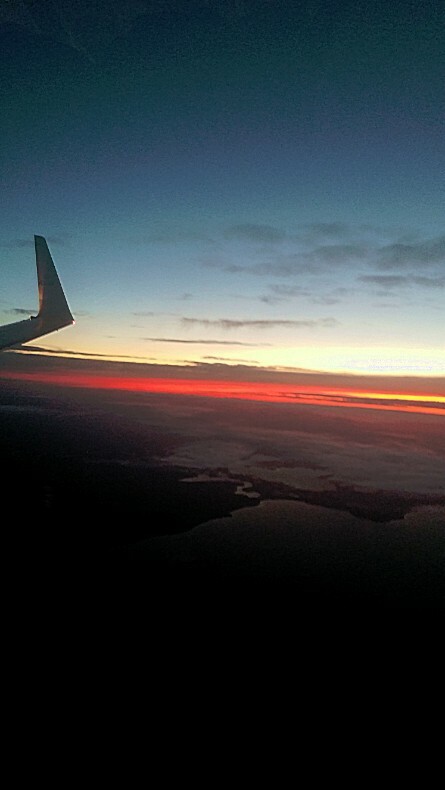 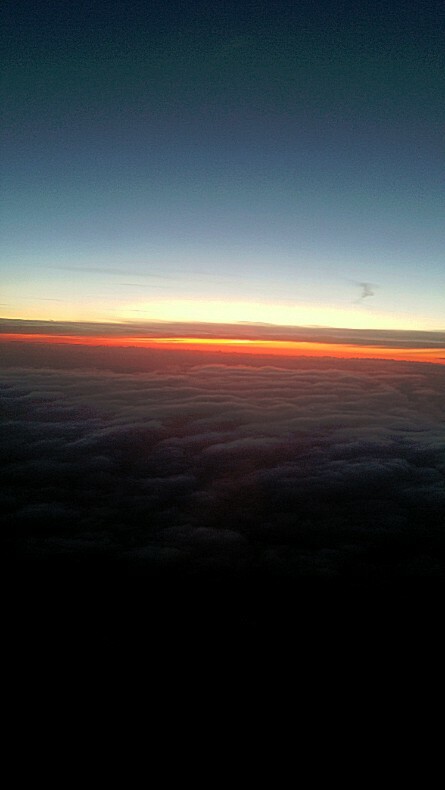 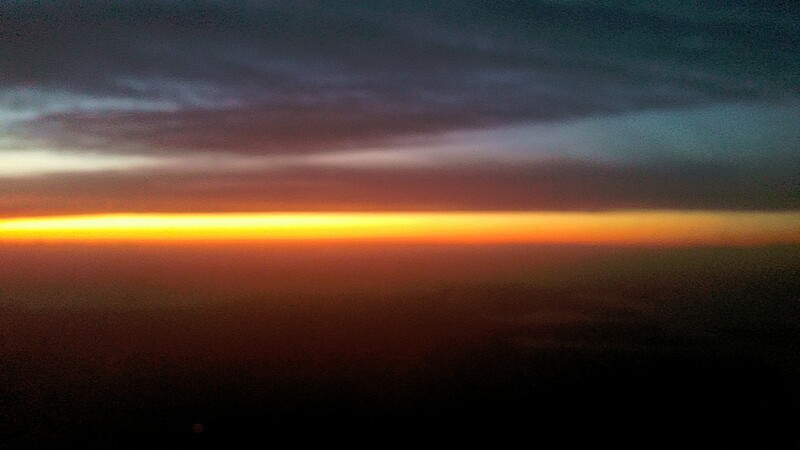 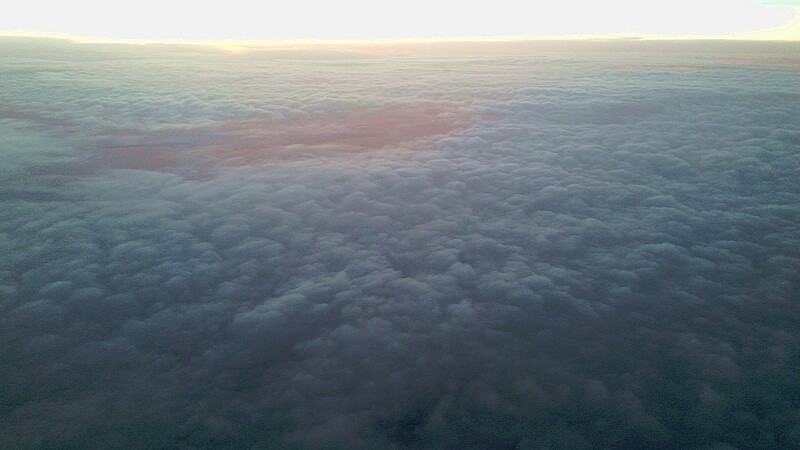 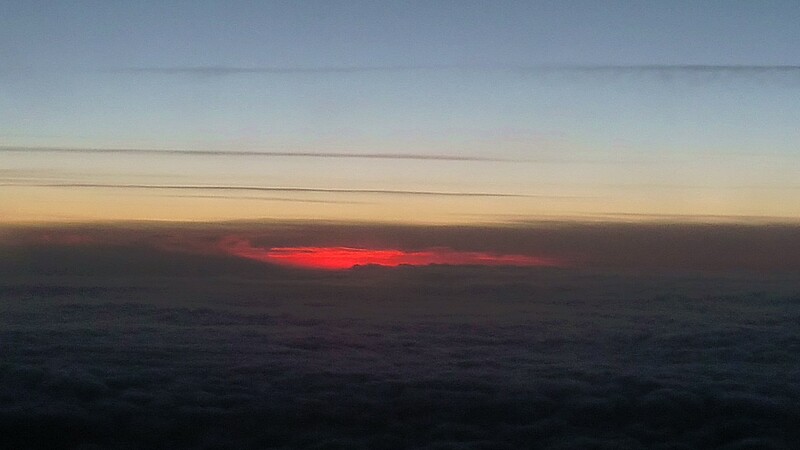 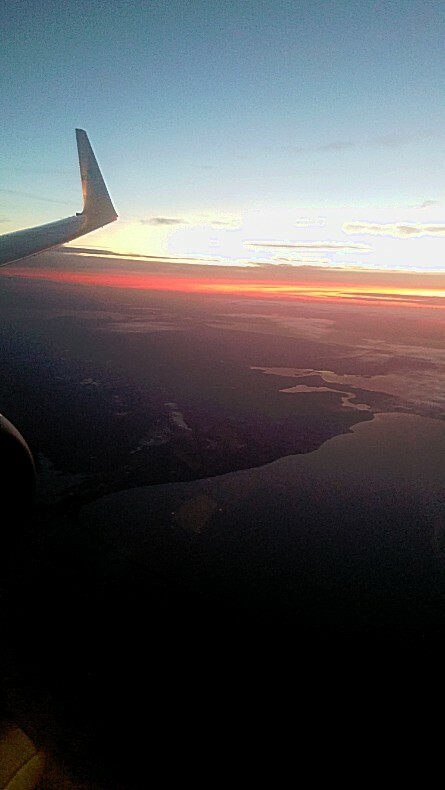 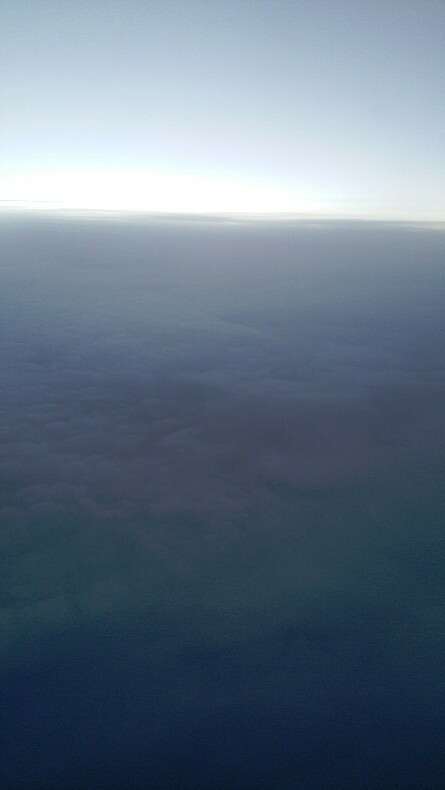 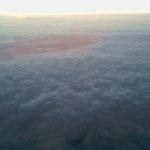 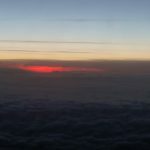 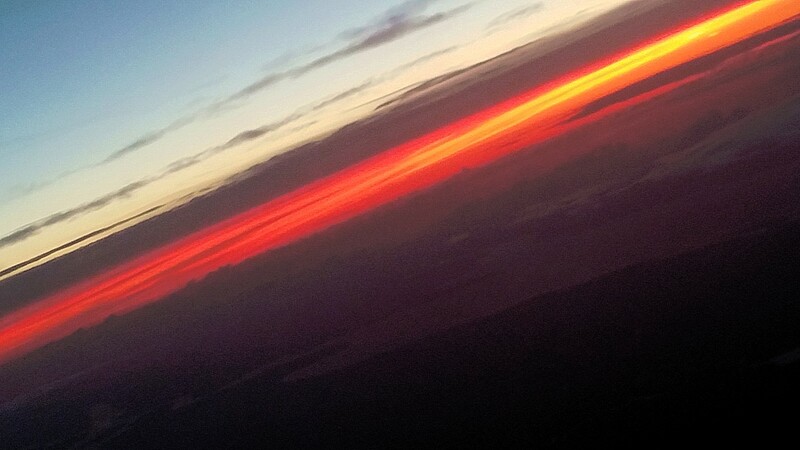 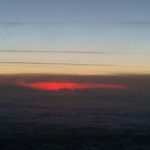 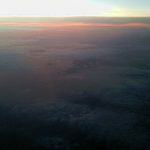 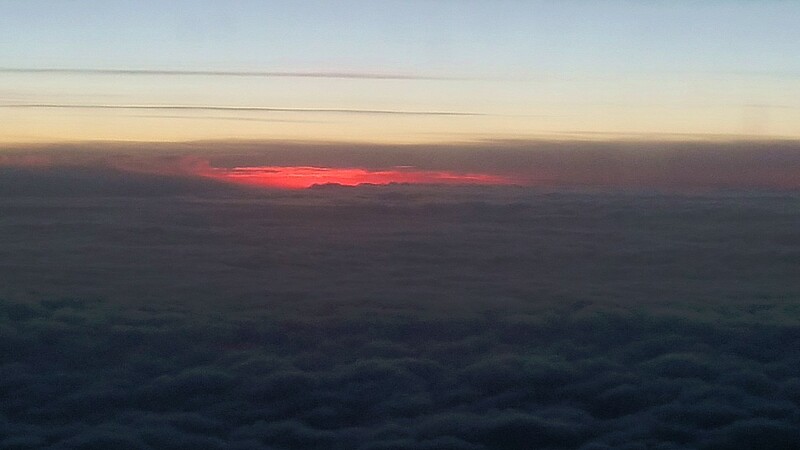 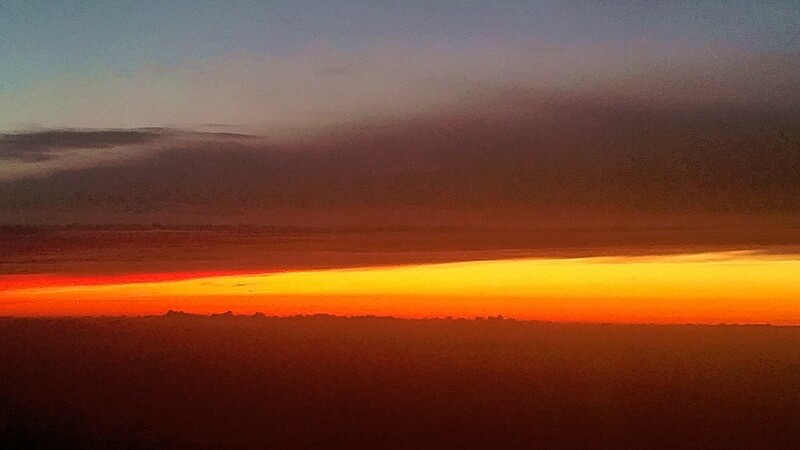 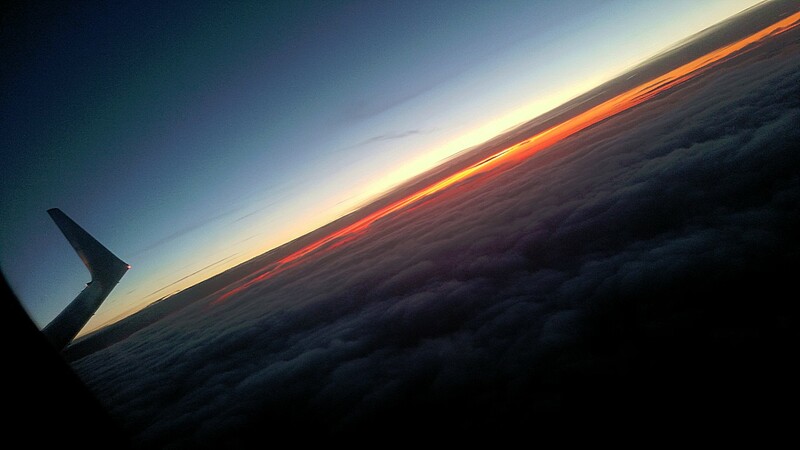 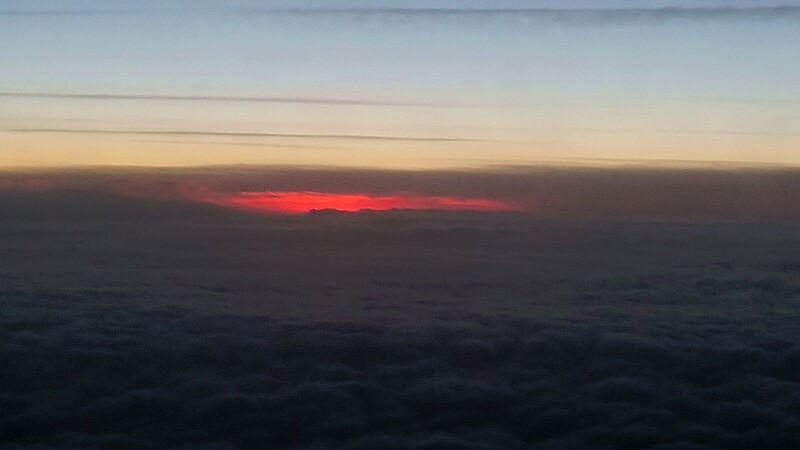 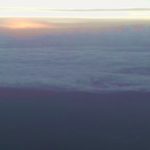 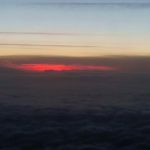 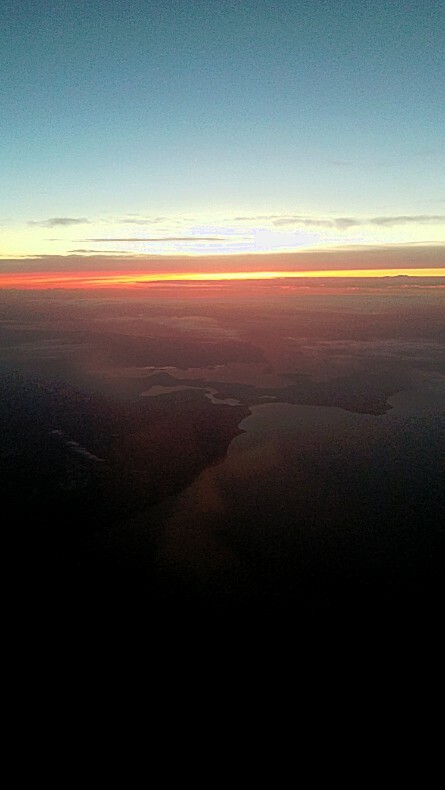 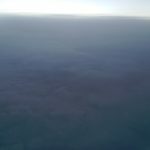 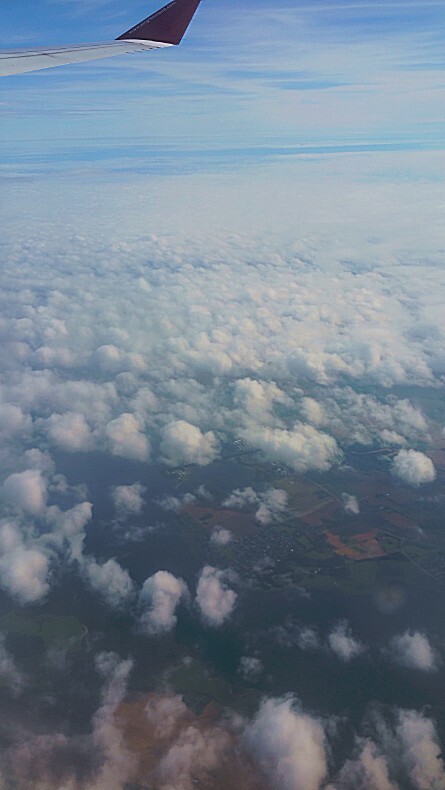 The flight was very beautiful, mainly due to a magnificent sunset above Denmark. After passing through customs and retrieving my luggage, I took the metro line to Kongens Nytorv station. 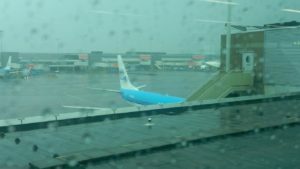 A 5 minute walk from the metrostation and I arrived at the Generator Copenhagen Hostel, where I spent the night. 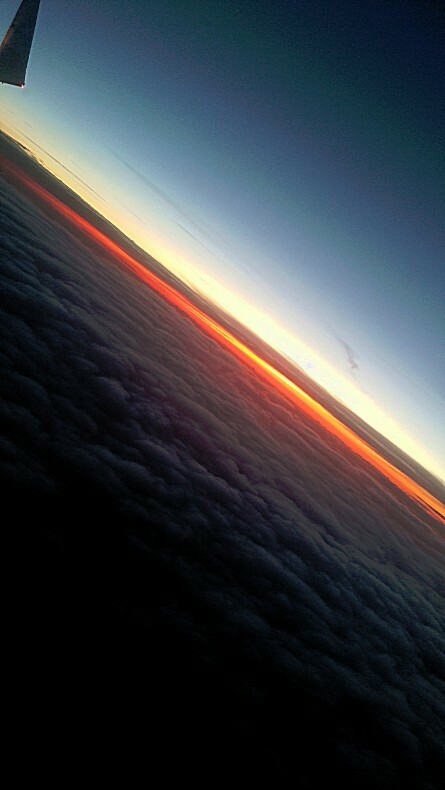 It was a short night. 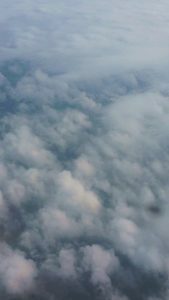 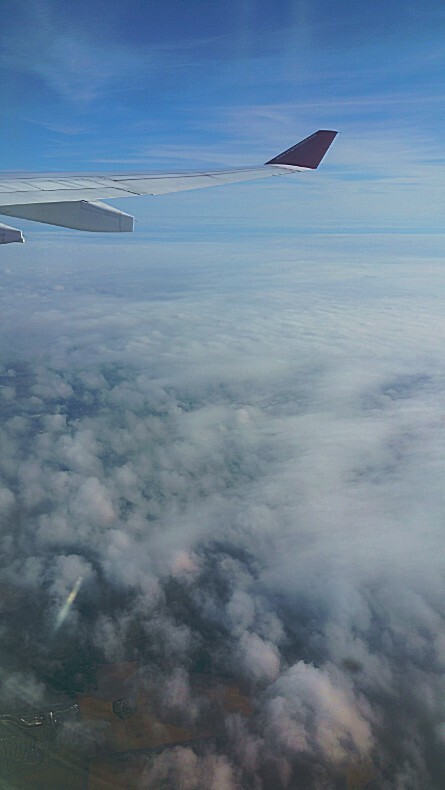 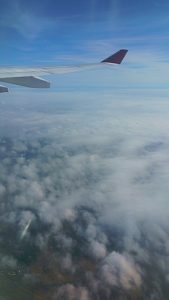 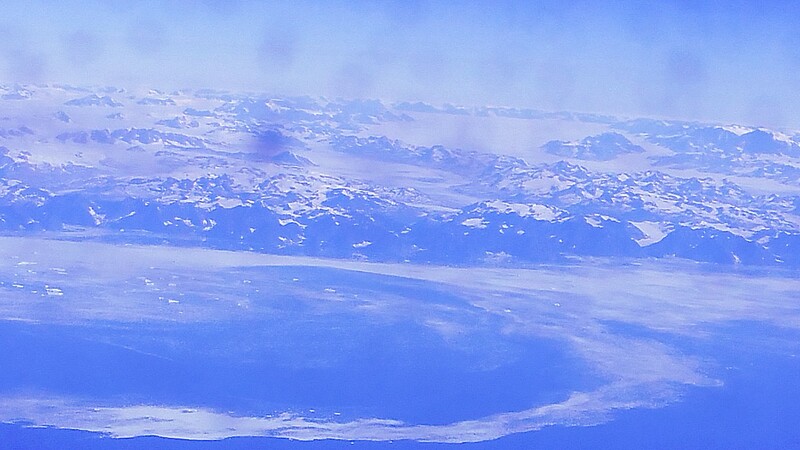 I woke up at 5.20 because the plane to Greenland left at 9.15. I went for the metro and it was pouring rain outside. 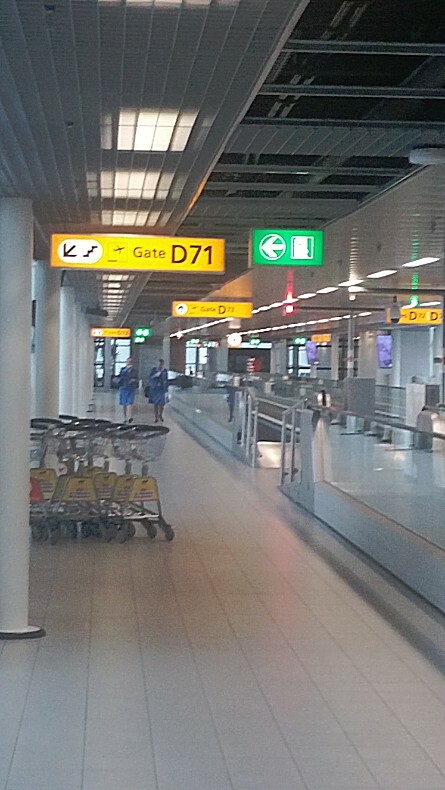 At the airport I checked in, checked in my luggage and went through customs. Then I bought a tax free sixpack of Carlsberg Black Gold beer to import into Greenland and I ordered a Danish breakfast at a bar. 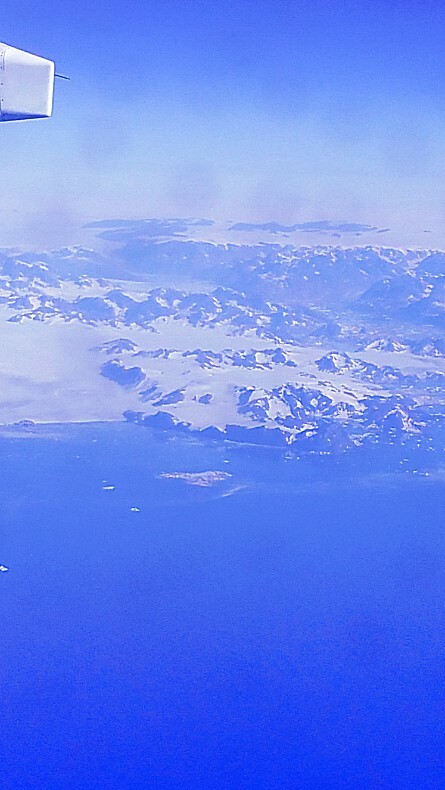 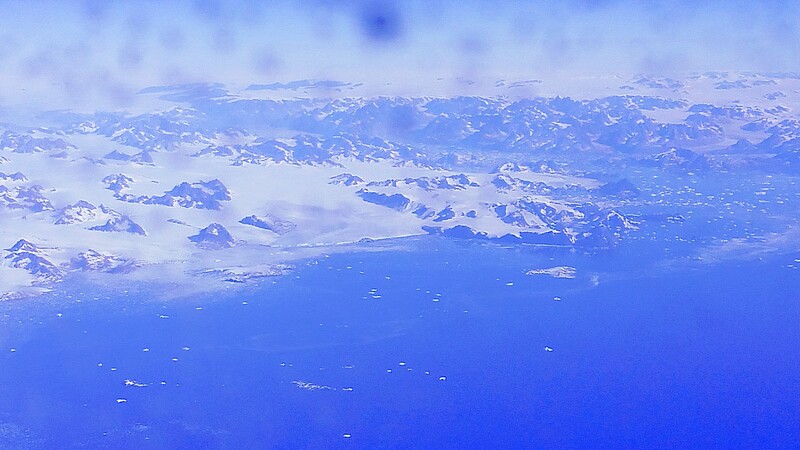 Eastern Greenland is one of the most isolated areas in Greenland. 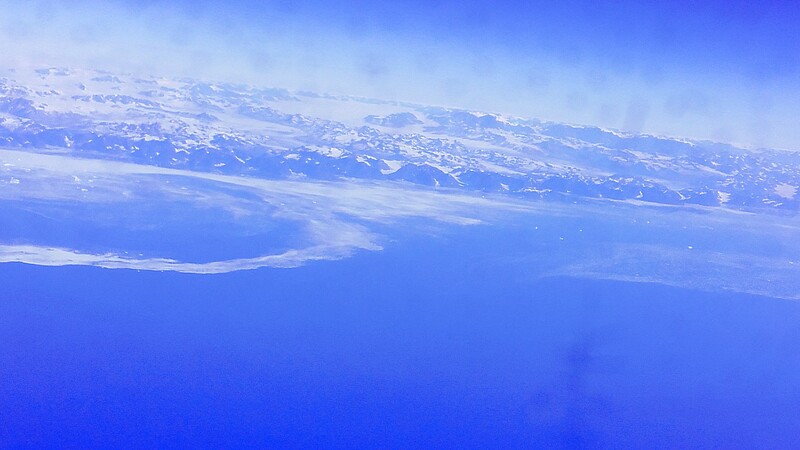 Steep mountains rise from the sea and giant white and blue icebergs float in deep fjords. 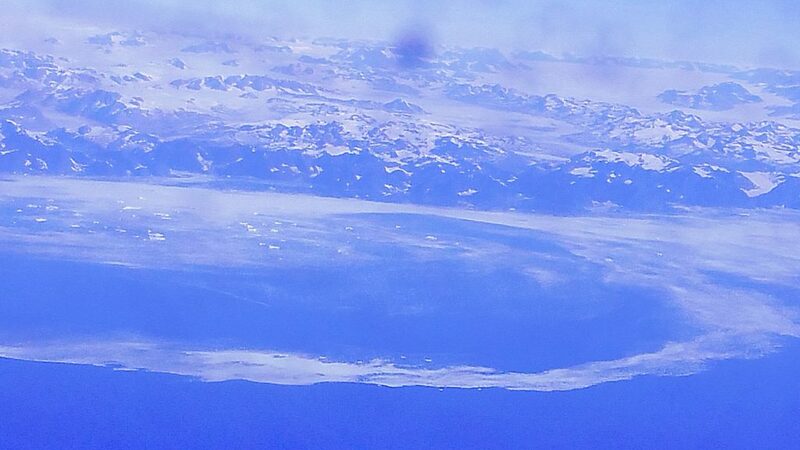 East Greenland is actually more alpine and rough in comparison to the rest of Greenland. 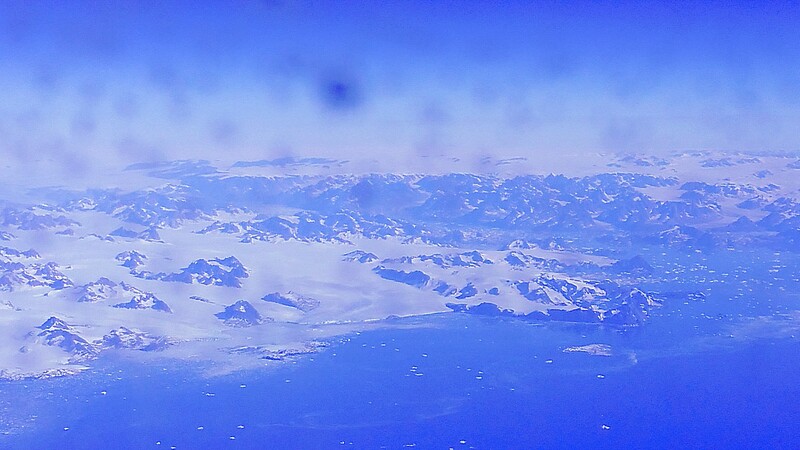 Only 120 years ago, there was no connection between East and West Greenland. 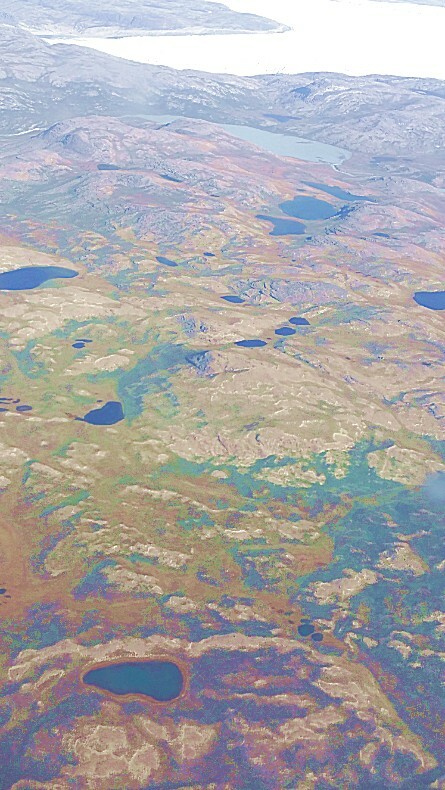 Therefore culture and traditions are different to the ones in the west and it is also the reason why East Greenlanders have a language of their own. It is the second largest ice body in the world, after the Antarctic ice sheet. 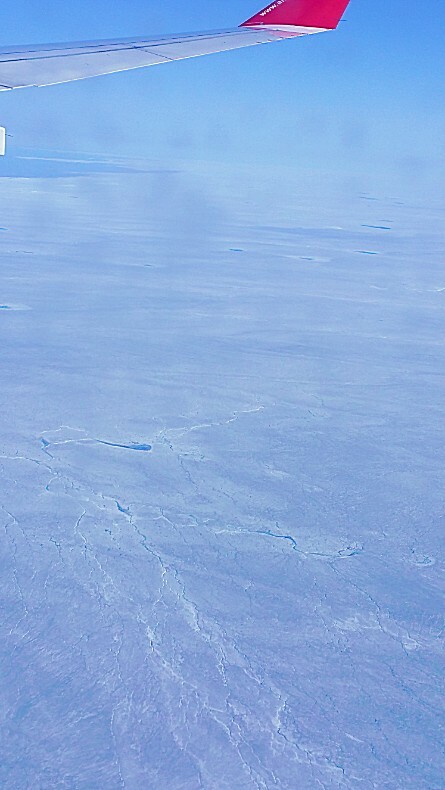 The ice sheet is almost 2,400 kilometres (1,500 mi) long in a north-south direction, and its greatest width is 1,100 kilometres (680 mi) at a latitude of 77°N, near its northern margin. 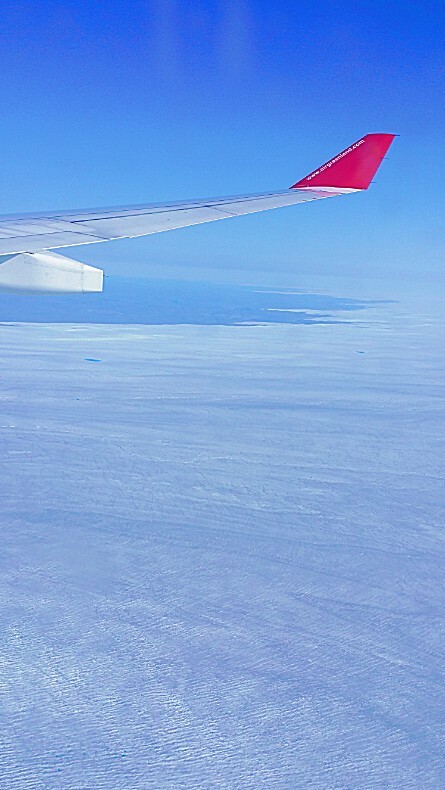 The mean altitude of the ice is 2,135 metres (7,005 ft). 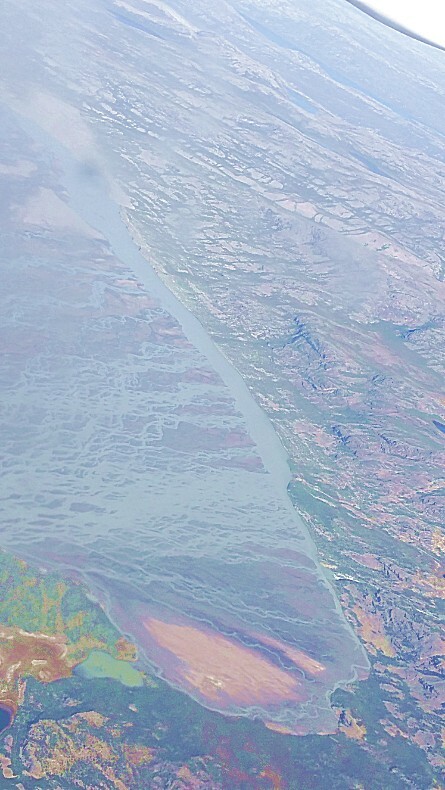 The thickness is generally more than 2 km (1.2 mi) and over 3 km (1.9 mi) at its thickest point. 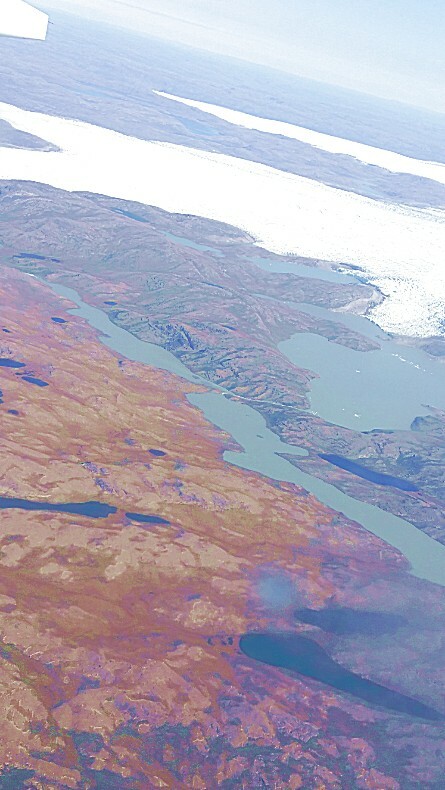 It is not the only ice mass of Greenland – isolated glaciers and small ice caps cover between 76,000 and 100,000 square kilometres (29,000 and 39,000 sq mi) around the periphery. 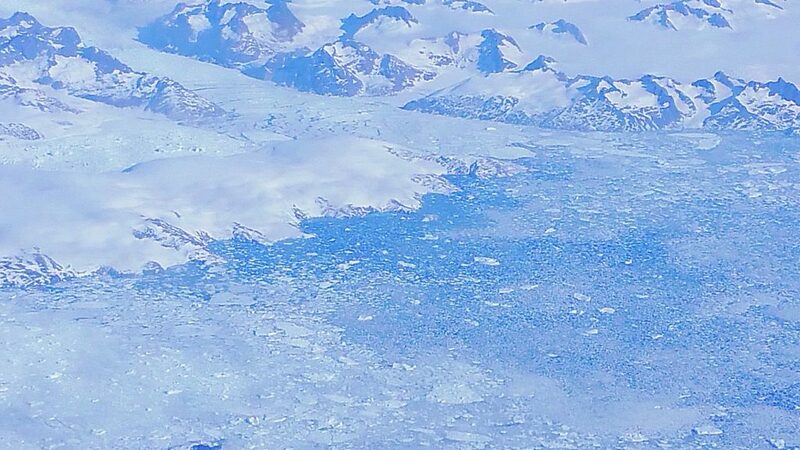 If the entire 2,850,000 cubic kilometres (684,000 cu mi) of ice were to melt, it would lead to a global sea level rise of 7.2 m (24 ft). 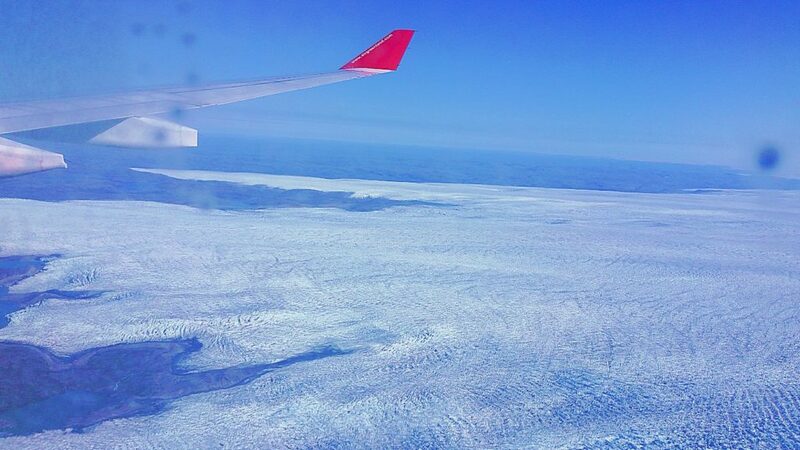 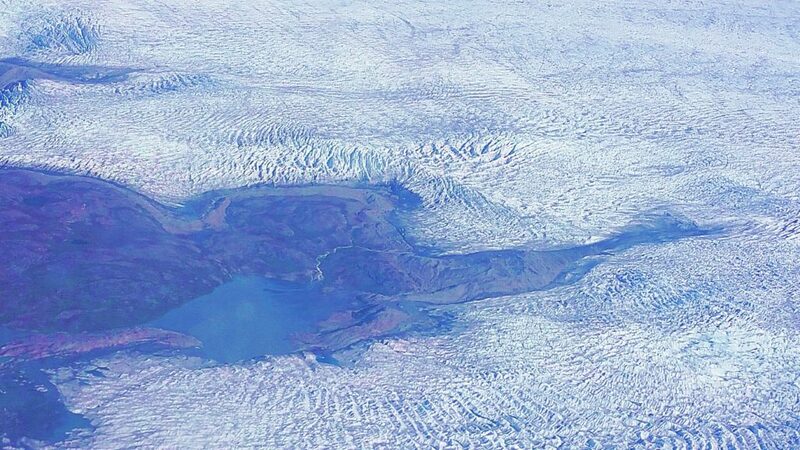 The Greenland Ice Sheet is sometimes referred to under the term inland ice, or its Danish equivalent, indlandsis. 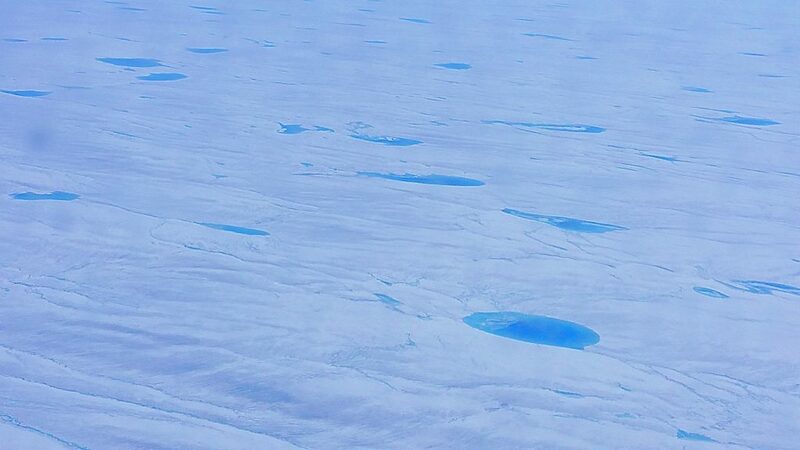 It is also sometimes referred to as an ice cap. 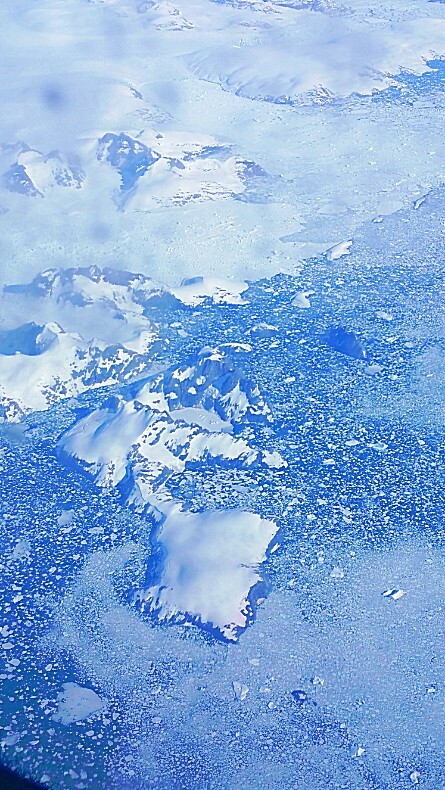 The weight of the ice has depressed the central area of Greenland; the bedrock surface is near sea level over most of the interior of Greenland, but mountains occur around the periphery, confining the sheet along its margins. 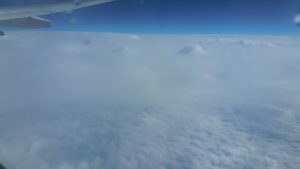 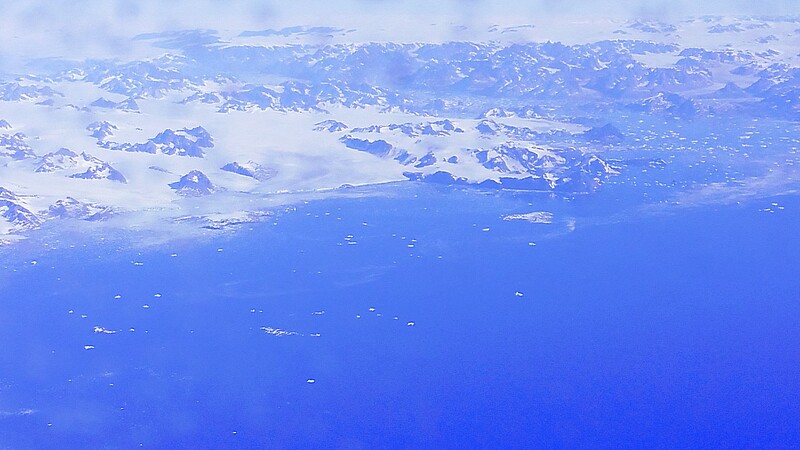 If the ice suddenly disappeared, Greenland would most probably appear as an archipelago, at least until isostasy lifted the land surface above sea level once again. 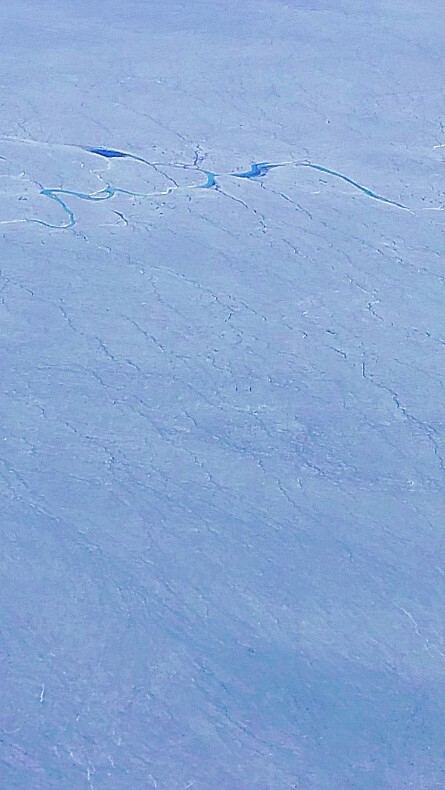 The ice surface reaches its greatest altitude on two north-south elongated domes, or ridges. 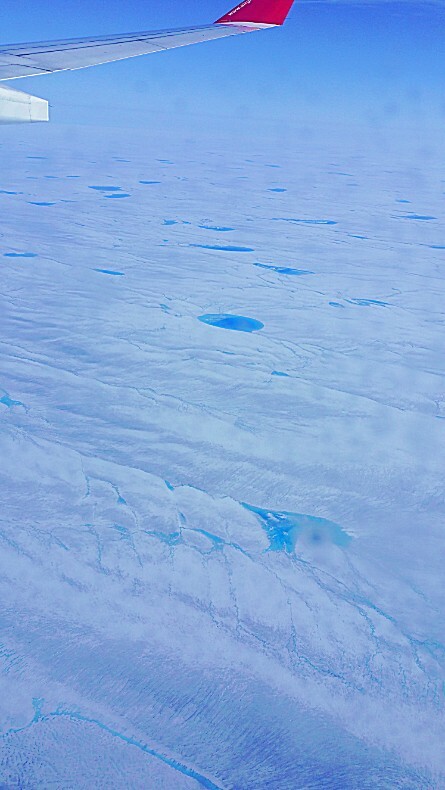 The southern dome reaches almost 3,000 metres (10,000 ft) at latitudes 63°–65°N; the northern dome reaches about 3,290 metres (10,800 ft) at about latitude 72°N (the fourth highest “summit” of Greenland). 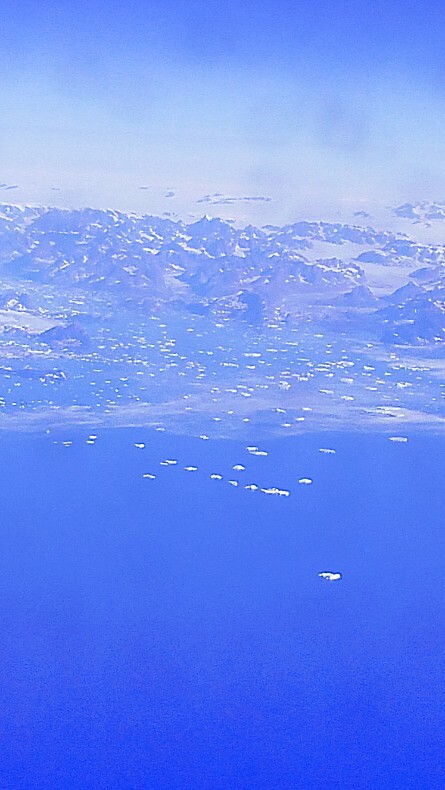 The crests of both domes are displaced east of the centre line of Greenland. 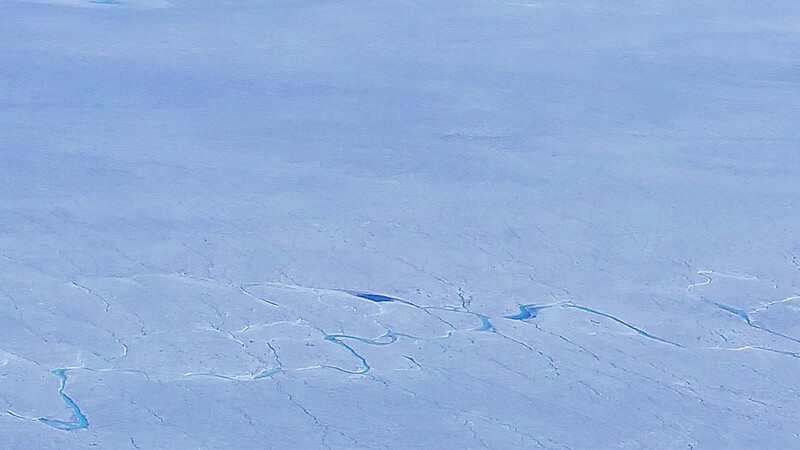 The unconfined ice sheet does not reach the sea along a broad front anywhere in Greenland, so that no large ice shelves occur. 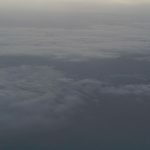 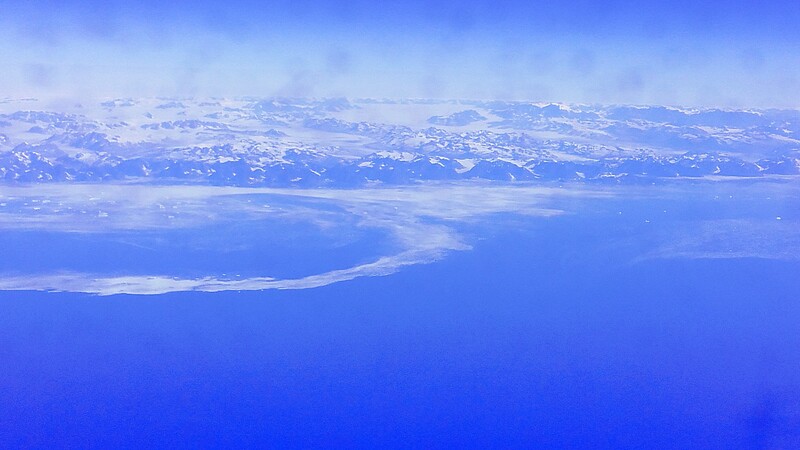 The ice margin just reaches the sea, however, in a region of irregular topography in the area of Melville Bay southeast of Thule. 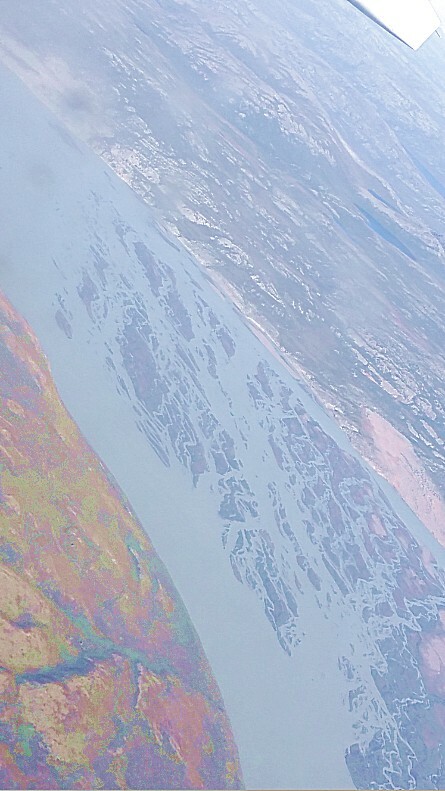 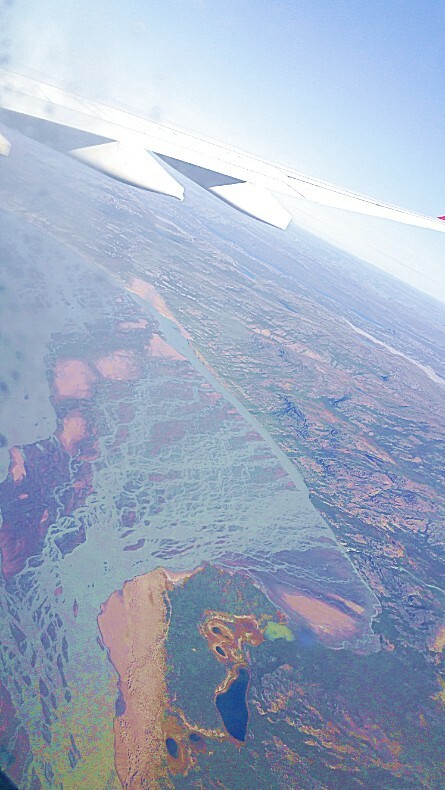 Large outlet glaciers, which are restricted tongues of the ice sheet, move through bordering valleys around the periphery of Greenland to calve off into the ocean, producing the numerous icebergs that sometimes occur in North Atlantic shipping lanes. 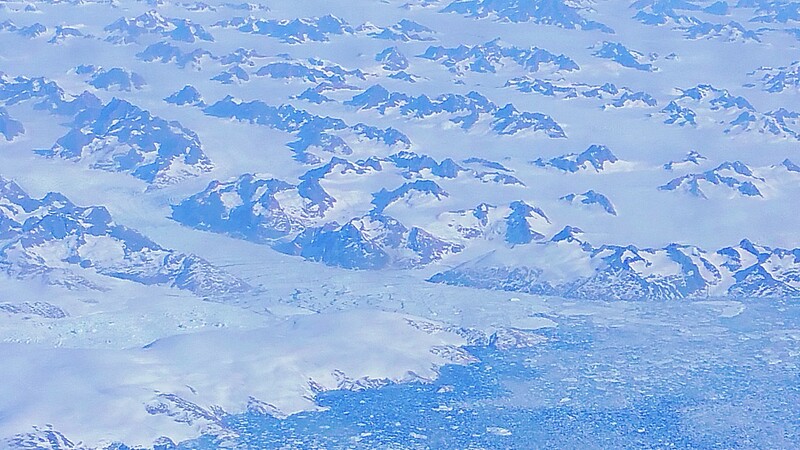 The best known of these outlet glaciers is Jakobshavn Glacier (Greenlandic: Sermeq Kujalleq), which, at its terminus, flows at speeds of 20 to 22 metres or 66 to 72 feet per day. 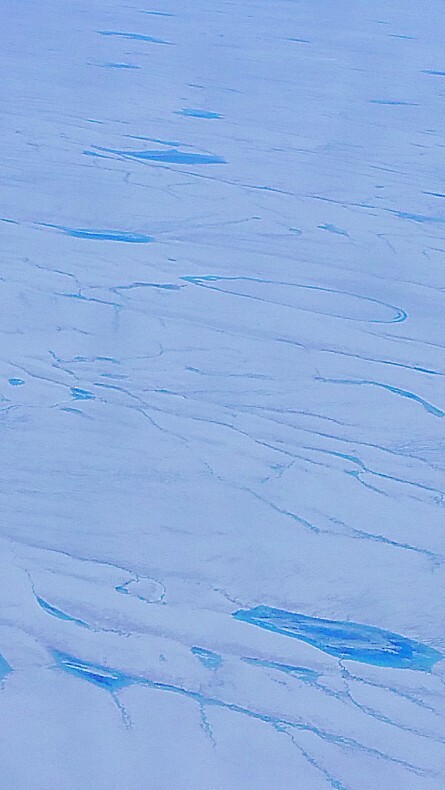 On the ice sheet, temperatures are generally substantially lower than elsewhere in Greenland. 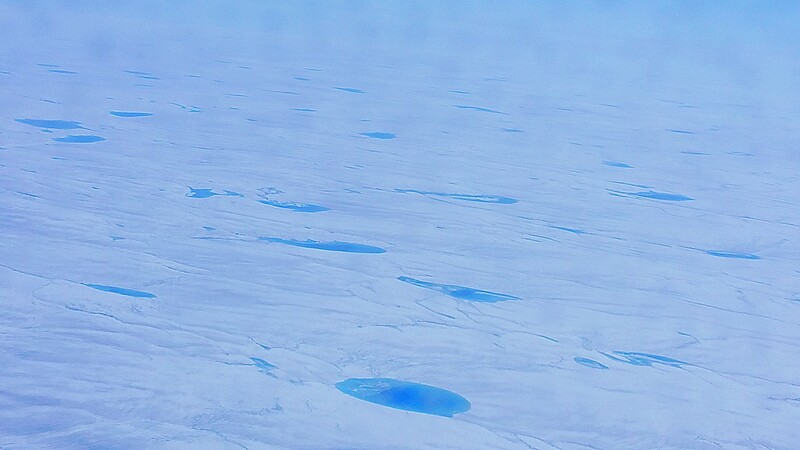 The lowest mean annual temperatures, about −31 °C (−24 °F), occur on the north-central part of the north dome, and temperatures at the crest of the south dome are about −20 °C (−4 °F). 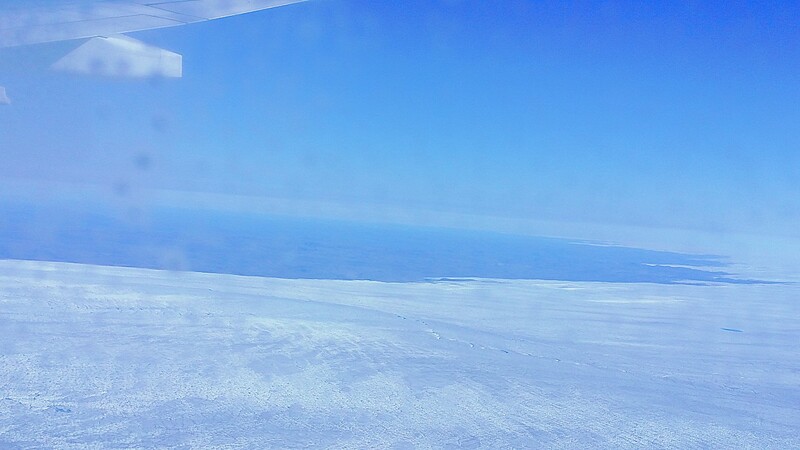 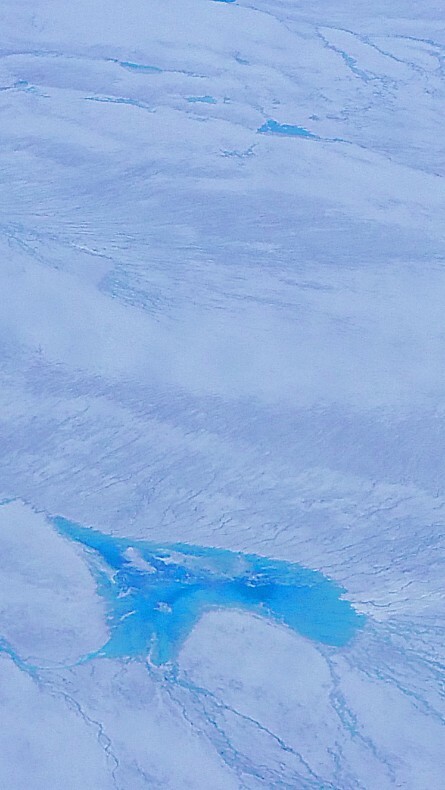 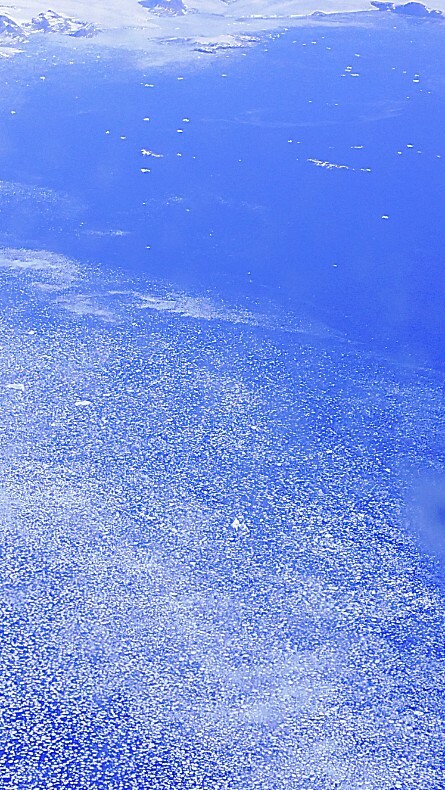 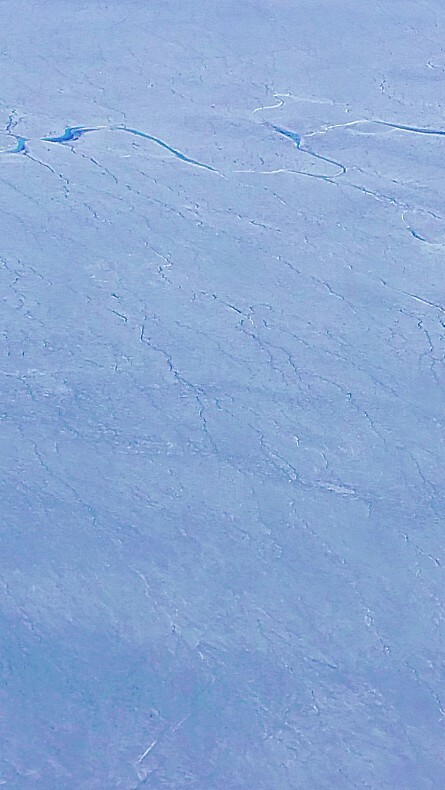 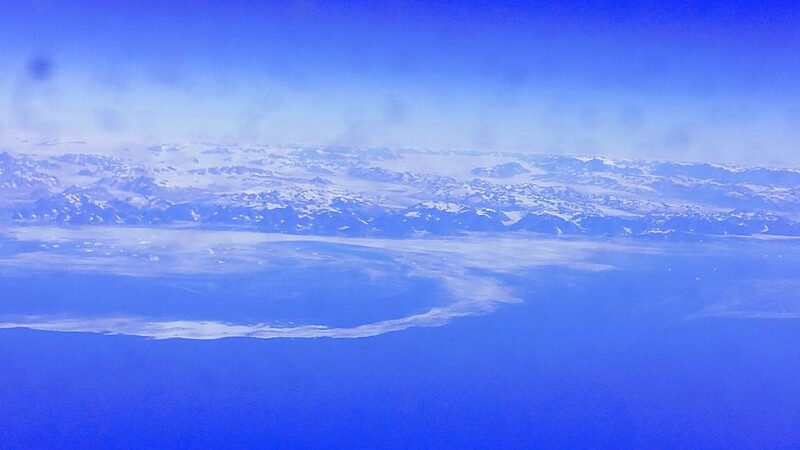 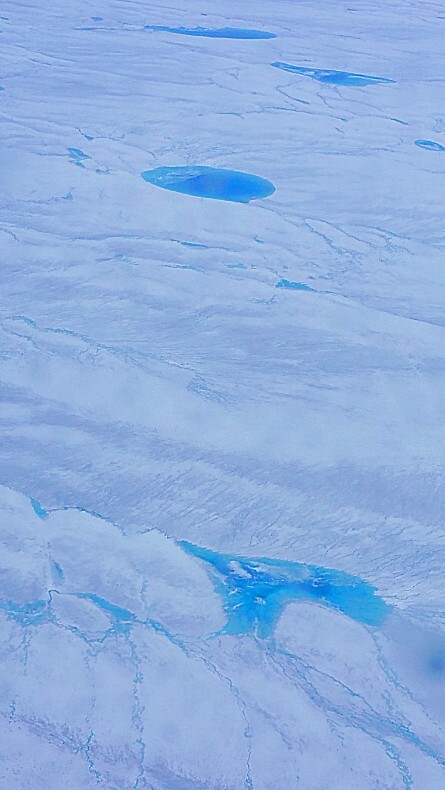 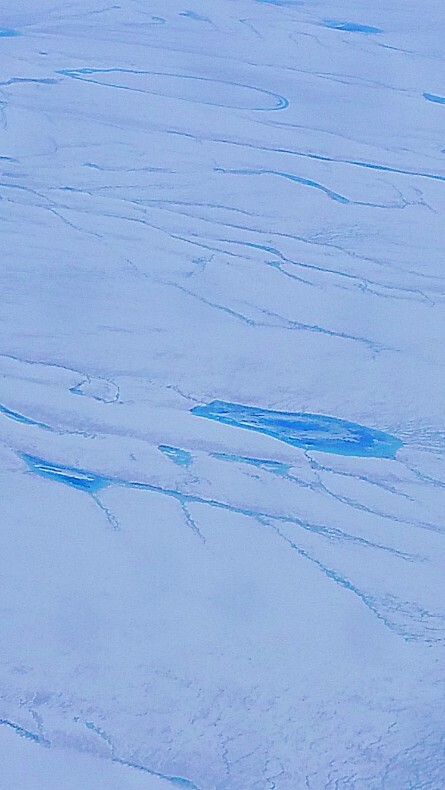 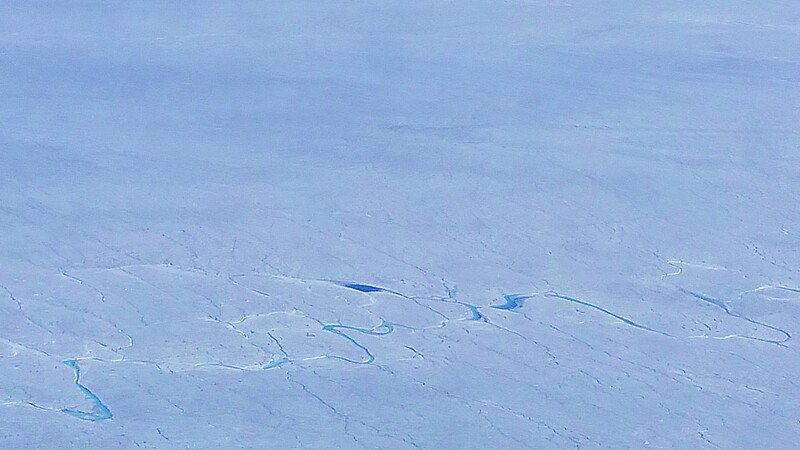 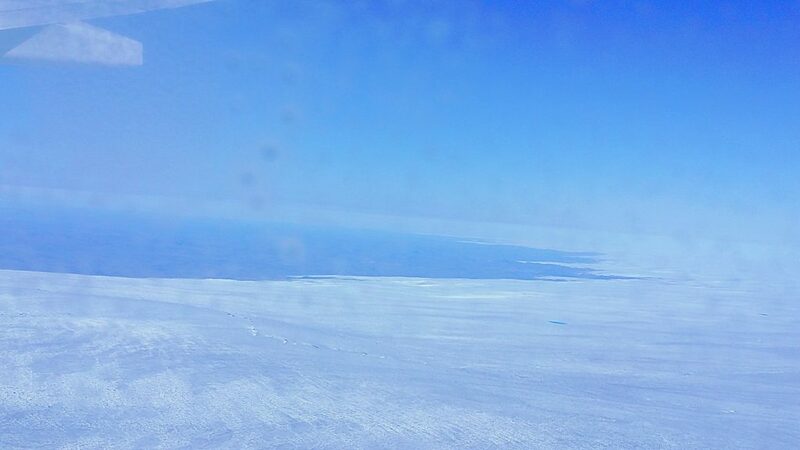 During winter, the ice sheet takes on a clear blue/green color. During summer, the top layer of ice melts leaving pockets of air in the ice that makes it look white. 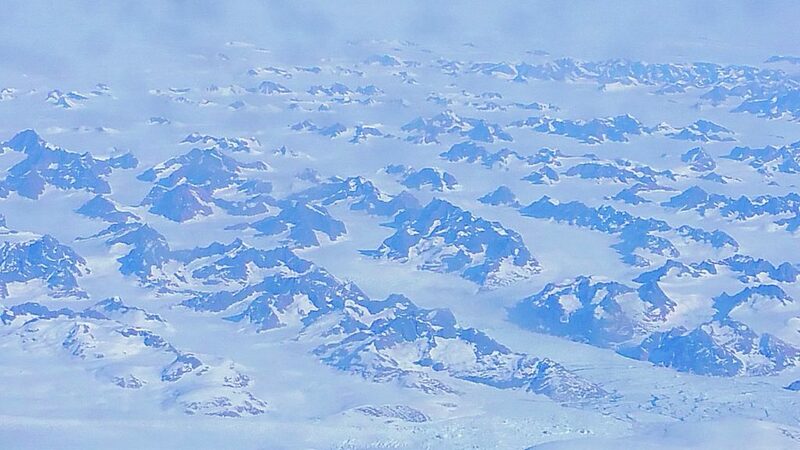 This is the part of Greenland, you would probably think of, if you’ve only seen the typical media picture. 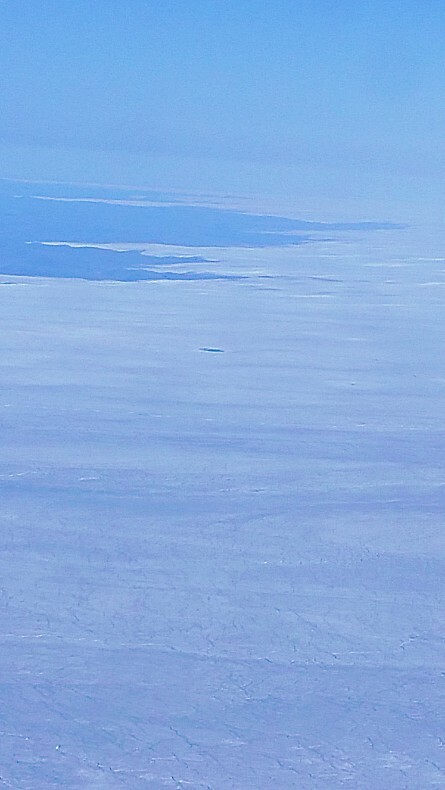 Large icebergs floating in the ocean or dogsled trips across the ocean from one small settlement to another. 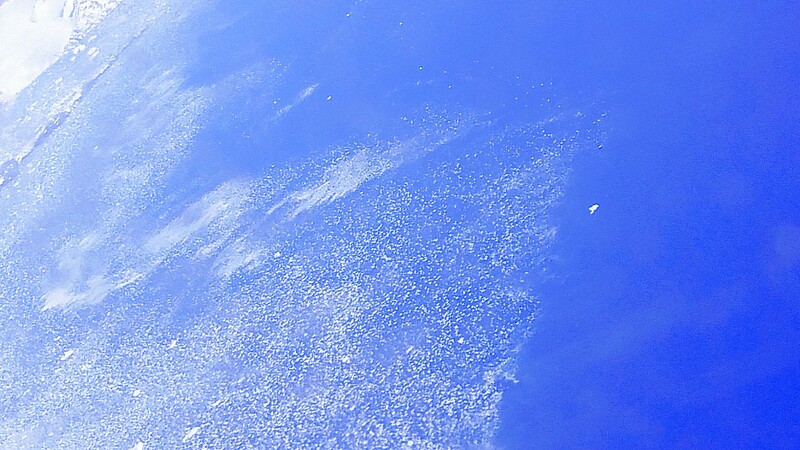 Fish and sharkmeat hanging outside small colorful houses and the constant barking of dogs in the background. 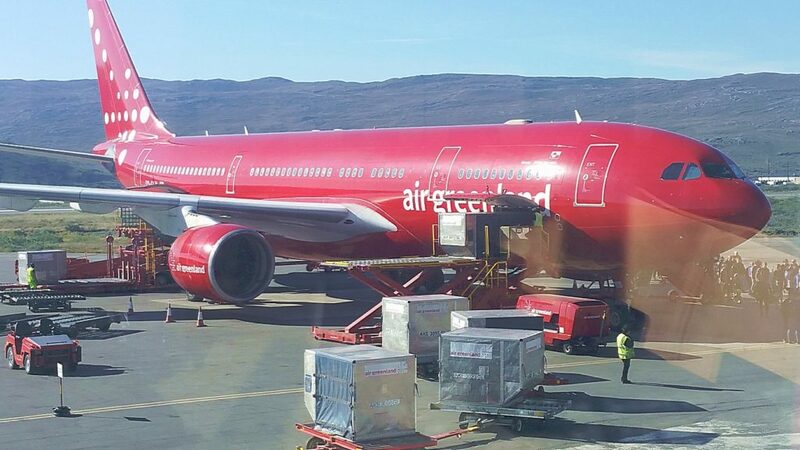 At 9.45 (local time) the plain of Air Greenland landed at Kangerlussuaq Airport.